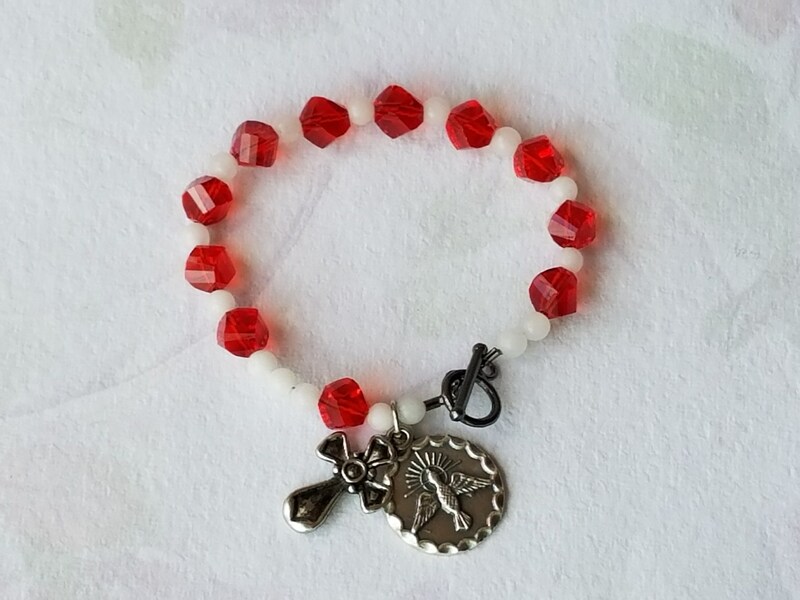 Gorgeous Holy Spirit Confirmation Catholic Rosary Bracelet. 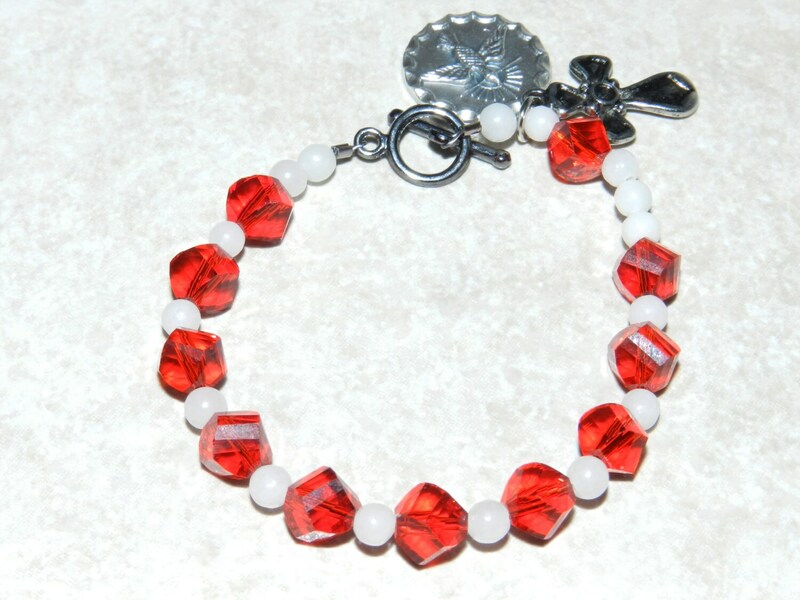 Red glass rosary bracelet, snow quartz (natural). 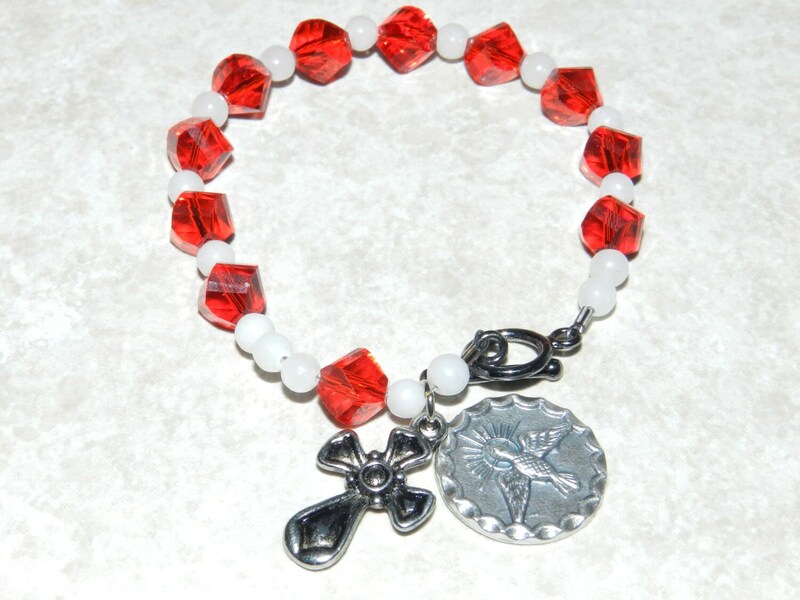 Features 2 charms, Holy Spirit Medal (Made in Italy), cross. 6 3/4 in. 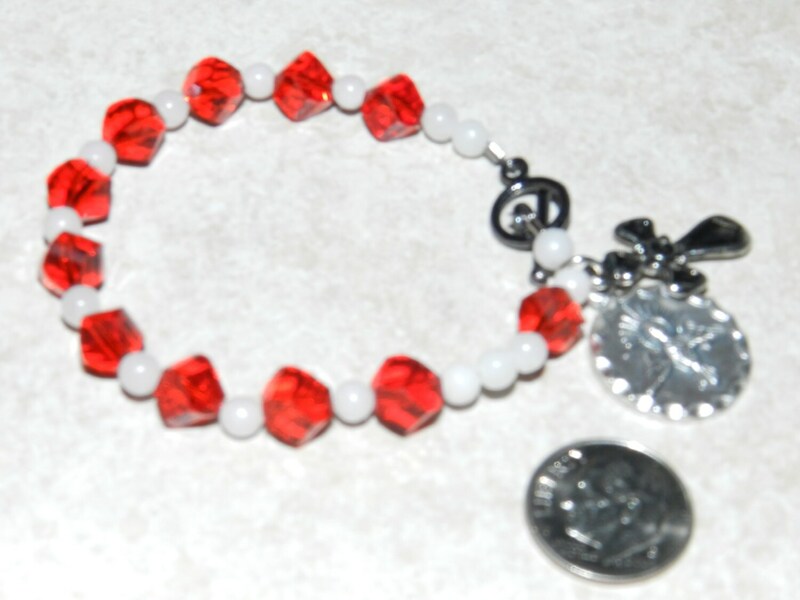 gunmetal finish bracelet with toggle. Uniquely designed & hand-crafted for a small wrist. f you have any questions regarding this item, please hit the “Ask a Question” button next to the price you will have a response within 24 hours!